I’m sorry, but I am going away on vacation. We have cleared many plants (culled is a better word for Happy Scissors Mummy) and fed our worms. I will be back in 2013! Merry Christmas and a Blessed New Year! 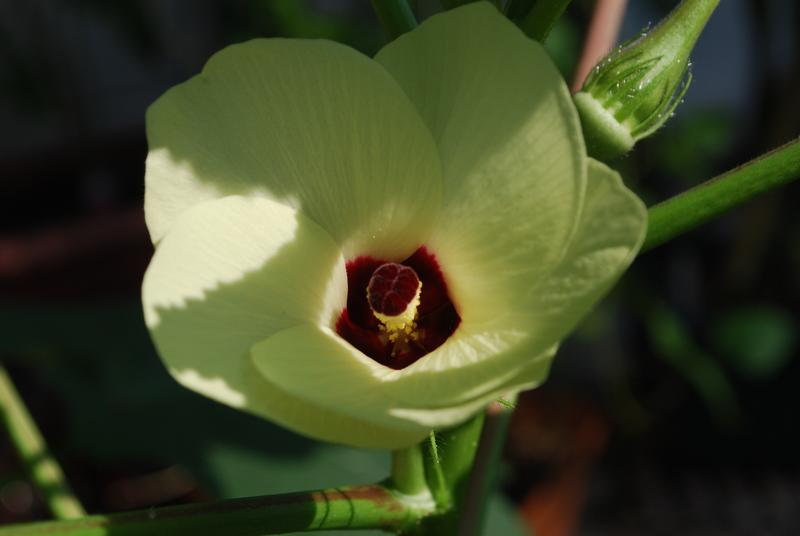 Many of my gardening books recommend clemson spineless okra as being an excellent productive okra. They told the truth. The plant is short, shorter than me! And even though Mummy stuffed 3 in a pot and had to lean stakes at an angle and make the plants grow like Pisa, they are still fruiting generously.